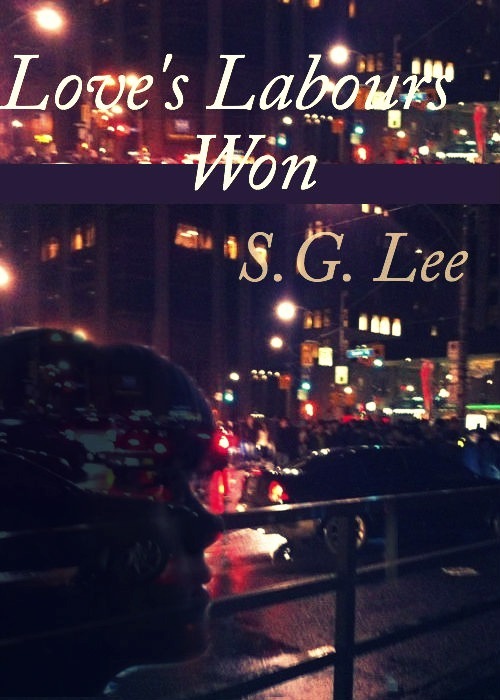 AUTHOR: Sheilagh Lee, a.k.a S. G. Lee. "Sarah is a young single woman in dire straits. Her rent is due, she was fired from her last job and she has no family to turn to. So she accepts the fateful offer of a mysterious job, which turns out to be a ruse to steal powers that she never even realized she had. As she sets upon this journey Sarah discovers a world of magic, mystery and the supernatural. As Sarah learns about this new world she is exposed to adventure, danger and intrigue...and romance in the form of the mysterious Demetrious Blackstone. All the while Sarah must learn to control her gifts and suppress her own demons to defeat the perils that await her. Only then can she discover her inner voice and follow her own path that will lead to the true love she knows she deserves." The receptionist’s bright blue eyes were like diamonds and red lipstick finished the face that could launch a thousand ships. She was dressed in a very tight red dress. It didn’t seem quite appropriate for the office but who was Sarah to judge? Sarah couldn’t help but wonder if this was the type of beauty that they hired here. If so, she was in trouble. She couldn’t compete with someone that lovely. “Hi, my name is Sarah. I have a little problem… I’m hoping that someone as knowledgeable and as intelligent as you are could help me with.” Sarah began. “Well, I will if I can. That’s so flattering that you think I can help you. People tend to treat me like a bit of an airhead because I’m just a receptionist. And my parents didn’t do me any favors by naming me Brandy.” stated Brandy breathlessly while snapping her gum. “Oh, your name is Brandy? You know, some say brandy is better than fine wine.” Sarah piled on the charm. “I’m not... you know…. so if …you know if that's what this is all about you can stop right there. Nothing against your preferences but I’m seeing a guy,” replied Brandy awkwardly misunderstanding. “Oh no….no …. Really, there’s nothing to worry about. I am straight too. I’m just here trying to get a job. You see, I applied for this job but the man on the phone forgot to tell me the office number where the interview is.” explained Sarah. In the first book of the Stone Chronicles, Sarah Dexler Maidenstone takes you on a ride that you would truly enjoy if you are looking for a book that’s full of magic, adventure and love. Orphaned and abandoned, Sarah struggles to make ends meet, when she suddenly hears from her long lost grandfather one day, under very suspicious circumstances. While Lord Eccklestone tries to reunite his family, the mysterious, handsome Demetrious Blackstone insists that Sarah’s grandfather is not who he claims to be. Before she can accept the fact that she still has a family to call her own, she finds herself unwittingly drawn into an age old battle between the Stone families. With an interesting narrative and a fairly good portrayal of characters this novel keeps one entertained all along. Each of them- good and evil- is so believable, yet seems to be larger than life. Demetrious is depicted as the perfect hero with a noble spirit; Darius is brilliant with his flirtatious sense of humor. While the proud and independent female protagonists, Sarah and Aunt Iva, leave you impressed, Alexander (the “almost eight years old” son of the awful being that Lord Eccklestone is) comes across as a surprise package. Vampires, werewolves, “magick” and true love- this novel has got all the ingredients of a paranormal romance. Although, ultimately “love’s labours won,” the author ended the story with a completely unexpected twist, leaving me eager to read the next book in the series. This is The House of Night, the Harry Potter series, Stardust and Twilight all thrown together, making the book a pleasurable read. It’s the kind that you love to get your hands on when you need an escape from the drudgeries of life. Looking for a breezy novel for light reading? Try this one. It left me with a smile on my face. Looks interesting this book. Unlike anything I have read in a long time..